Corrugated Egg Flats are great to use for several insect species. We use them for our Crickets to give them more space to move around. It keeps the crickets alive longer because they aren't over crowded. The Roaches do great with them too. It allows many more roaches to be housed in a container and some species will even lay their eggs inside of them. We even use them with our mealworms and superworms to give them climbing space so that they dont over heat or over crowd. 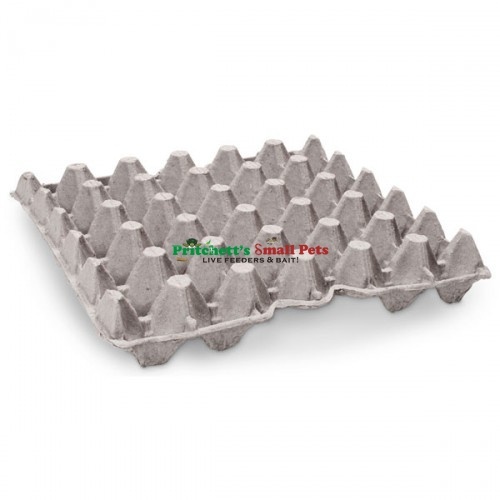 These egg flats are great to use for almost any purpose and can even be used to sell eggs if youre an egg farmer. Click the button below to add the Egg Flats to your wish list.